After 17 years of running a dumpling cart on Church Street Marketplace, Hong Yu has opened a shop — Hong's Chinese Dumplings — at 77 Pearl Street in Burlington. 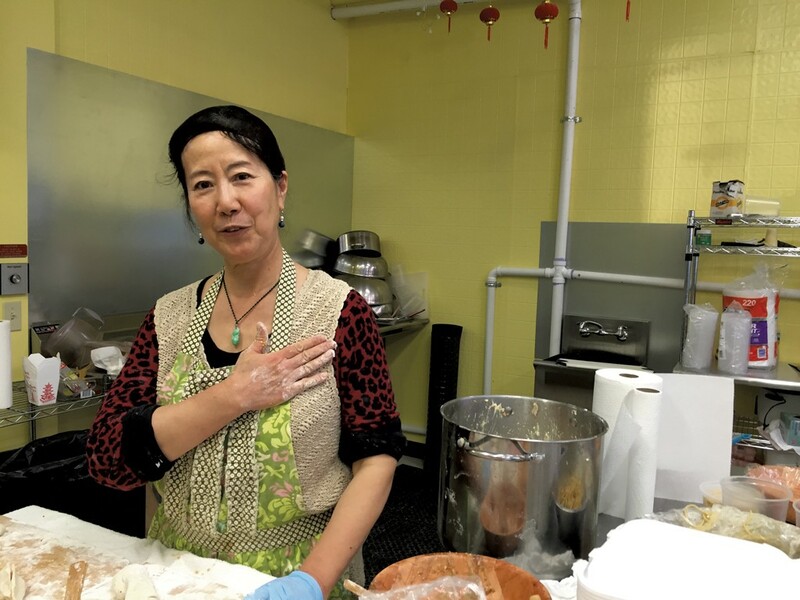 She's now selling her signature dumplings in the corner space with big plate-glass windows that formerly housed Radio Deli. "I really love Church Street," said Yu, 59. "But I'm older now. It's hard on the body to be outside." Hong's Chinese Dumplings had a soft opening last week and officially launched on Saturday. That day the shop served 1,400 dumplings, according to cook John Campanelli, who goes by "Camp." "It's a lot of rolling," Camp said of his job. "You have to have strong hands and strong shoulders." The restaurant's opening was aided by a GoFundMe campaign that raised more than $10,000 from about 300 people. A board on one wall displays the donors' names. "I am so grateful," Yu said. "Everybody is so sweet, everybody is so lovely, to help me keep going." On the facing wall hangs a chalkboard menu with options that will be familiar to customers of the cart: chicken-and-pork dumplings, veggie dumplings, crab-and-cream cheese dumplings. Three dumplings go for $5.55, with portions and prices increasing to eight dumplings for $13.32. Over the winter, Yu plans to add traditional soups and noodle dishes, but dumplings will remain the mainstay of the menu. The shop is open Wednesday through Sunday, 11 a.m. to 6 p.m., with plans to extend hours of operation to seven days a week until 8 p.m., Camp said. He hopes the addition of staff will make that possible as soon as next week. "It's very, very busy," Camp said, noting that he wakes every morning happy to go to work. The original print version of this article was headlined "Home for Hong's"